Over 120 local and international experts in the fields of violence, abuse and trauma will share their unique findings at the upcoming Hawaiʻi International Summit. The summit is supported by Ho‘omaluhia, the Hawai‘i branch of the Institute on Violence, Abuse and Trauma. KS Kapālama graduate Bella Finau-Faumuina has been named the recipient of the 2019 Teacher of Promise Award. Ka Papa Lo‘i ‘o Kānewai has partnered with Kamehameha Schools to host the family-friendly Mālama Hāloa Festival on Saturday, April 13, from 8:30 a.m. to 2:30 p.m. at Punalu‘u Ahupua‘a Farms across the street from Punalu‘u Beach Park on KS ‘āina. Gov. David Ige appointed Kamehameha Schools West Hawai‘i Regional Director Kaimana Barcarse to the Hawaiʻi County seat on the Hawaiʻi State Board of Education. As a new member in this volunteer position, Barcarse will serve a three-year term through June 30, 2022. Kamehameha Schools Maui middle and high school teams win awards at the 2019 Student Television Network National Convention. Chris Deuchar has been named senior director of planning and development for Kamehameha Schools’ Commercial Real Estate Division (CRED). More than 500 indigenous educators, scholars and cultural practitioners from around the world recently converged at University of Hawai‘i Maui College for the He Au Honua: Indigenous Research Conference. Attendees explored how native intelligence can address modern world issues and crafted solutions that will affect generations to come. Kulamanu Ishihara, president of the Native Hawaiian Education Association and counselor at the University of Hawai'i Maui College, joins Ka Piko Podcast this week from the He Au Honua indigenous education conference on Maui to share new approaches to integrating culture through education. 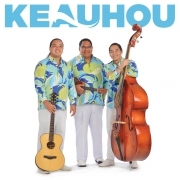 Award-winning Native Hawaiian musical group Keauhou is featured on this week’s episode of Ka Piko Podcast. As part of a unique collaboration between three kama‘āina organizations including Kamehameha Schools, the Koʻolauloa Farmers Market will hold its grand opening on Saturday, March 23, from 8:30 a.m. to 12:30 p.m. at Punalu’u Ahupuaʻa Farms. In collaboration with the local utilities and industry, Kamehameha Schools is the first private school to utilize Hawaiian Electric’s Real-Time Monitoring program at its campuses and select properties. He aupuni palapala ko‘u – Mine is a kingdom of literacy. As the motto suggests, Kauikeaouli – who would become Kamehameha III, Mō‘ī o Ke Aupuni ‘o Hawai‘i (ruler of the Kingdom of Hawai‘i) – believed in literacy and education among his people. In the 1800s, the literacy rate among Native Hawaiians was 98 percent. Kamehameha Schools has launched a new podcast that highlights innovative approaches to education and community-building through a Native Hawaiian lens: Ka Piko Podcast. Proceeds from the performances will help haumāna represent Hawaiian language, culture and moʻolelo on a global stage when they perform the opera at Scotland’s Edinburgh Festival Fringe. The Kamehameha Schools Song Contest – which connects our KS Kapālama High School haumāna to their culture through mele – is slated for Friday, March 15 at the Neal Blaisdell Center.